Loyalty. This is described as “true or faithful to duty, love or obligation; steadfast in allegiance” (Concise Oxford Dictionary). Lavishly cherished by rulers of various kinds, loyalty in today’s party politics can be a two-edged sword as evidenced by the shocking downfall of two high-flying American lawyers, 52-year-old Michael Cohen and 70-year-old Paul Manafort. Both were very trusted loyalists to the enigmatic US President Donald Trump. Now, there is loyalty and loyalty. Sam’s relentless loyalty to Frodo in the movie Lord of the Rings is most inspiring. There is mafia-type loyalty in criminal gangs, political corruption and conspiracy. Julius Caesar was assassinated by the envy and ambition of “friends.” Loyalty is often tested when upright principles or oaths of office clash with friendship or political allegiance. Loyalty strains integrity. A recent example is the resignation of Canada’s attorney general Jody Wilson-Raybould in protest over Prime Minister Justin Trudeau’s alleged interference in the prosecution of a large construction firm. There is also disloyalty like Judas’s against Jesus. 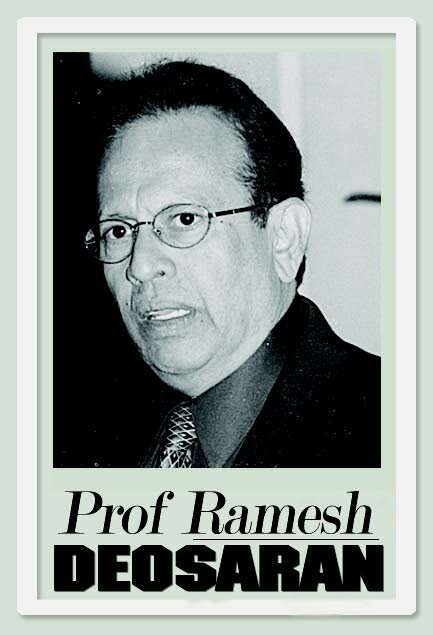 The loyalty of the late Kamaluddin Mohammed and Dr Winston Mahabir in the PNM was of two different kinds. Or that between Karl Hudson-Phillips and Francis Prevatt. Kamla Persad-Bissesssar now faces a test of party loyalties. So there is the good, bad and ugly of loyalty. He was Trump’s political campaign manager. Most of his actions emerged from loyalty to Trump. The promise of a presidential pardon is hanging around. His troubles are far from over. Last week, the New York State Justice Department laid out 16 new criminal charges against him. For us down here, the higher-order examples are (1) The vitalising role of the US judicial system – the application of swift and certain justice and the absence of trial delay tactics. (2) The persistent probing and highly independent role of the American media (3) A lively, demanding public opinion that presses for political and judicial accountability – supporting a free media. He was described as Trumps “fixer,” paying women to keep quiet about Trump’s misadventures. He described Trump as “a racist, conman and cheat.” He told the court: “I was weak for not having the strength to question his demands.” He was sentenced to 36 months in jail – an example to others. Ironically, without loyalty, the political party system is dead. Loyalty requires you to stick it out through thick and thin, tolerating the leader’s whims and idiosyncrasies. The leader never forgets who stood by his or her side in hard times. Given the twists and turns in politics or business, however, loyalty can also have its corrosive, poisonous side. Loyalty can cause supporters to become blind to corruption as both Manafort and Cohen discovered. Trump persistently attacked the media. For us, the Privy Council has generally given the benefit of the doubt to a free press. Lord Denning said: “Let me say at once that we will never use our jurisdiction as a means to uphold our own dignity. That must rest on surer foundation. Nor will we use it to suppress those who speak against us.” In the Watergate scandal of 1972, it was a free press and two reporters who brought President Richard Nixon and his corrupt loyalists to their knees. Reply to "Loyalty, politics and the press"